I don't know about you but I always struggle to find a really cool Valentines day gift for my Husband. Quite a lot of the Valentines DIY's I find are girlie and my Steve is definitely not girlie! 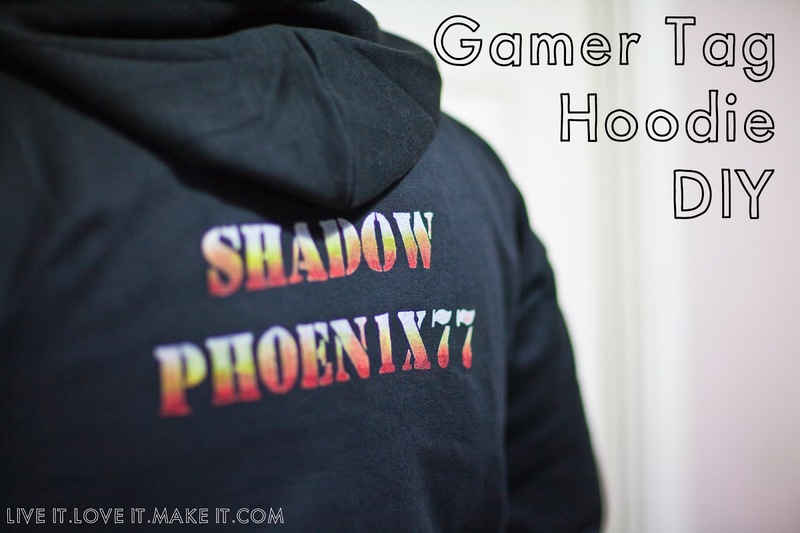 I have also been wanting to do a tutorial with freezer paper for a while now, so I came up with the perfect DIY gift for the gamer guy or girl in your life, a gamer tag Hoodie. 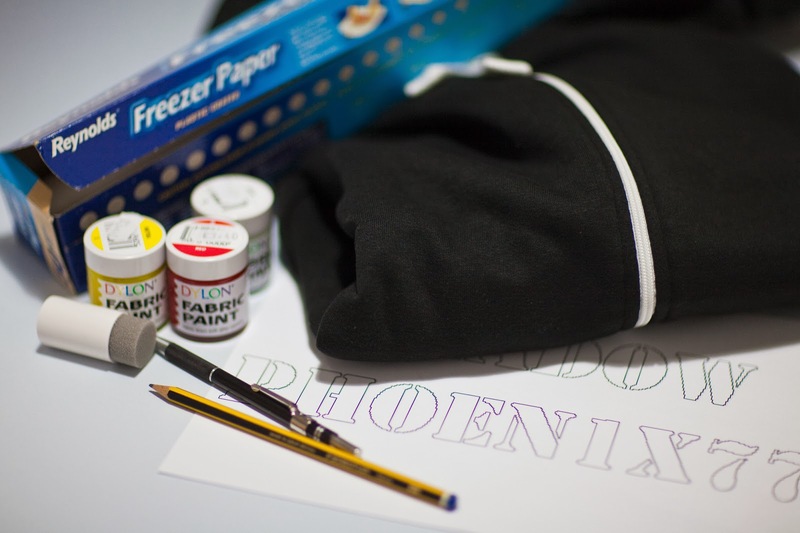 You will need: a Hoodie or sweatshirt, Freezer paper, a pencil, a craft knife or small scissors, a sponge, fabric paint, a paint brush (not shown) and your gamer tag printed on paper. 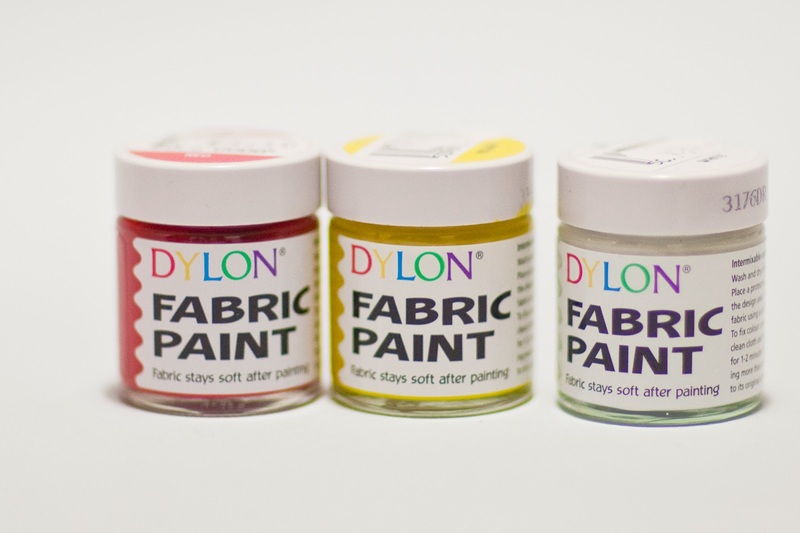 For this tutorial I have used Dylon Fabric Paint, the colours in this range are quite thin and translucent, so I chose to start with a base of white (which is more opaque) and build up my colours on top. You can choose any colours you like, but bear in mind the colour of the hoodie you are decorating. I started off by printing off Steve's gamer tag from the computer, I messed around with size and fonts until I got one that I liked, be mindful that you are going to be making a stencil so if you have any loose middles like O's and D's that you will need to draw stems for them into your design. 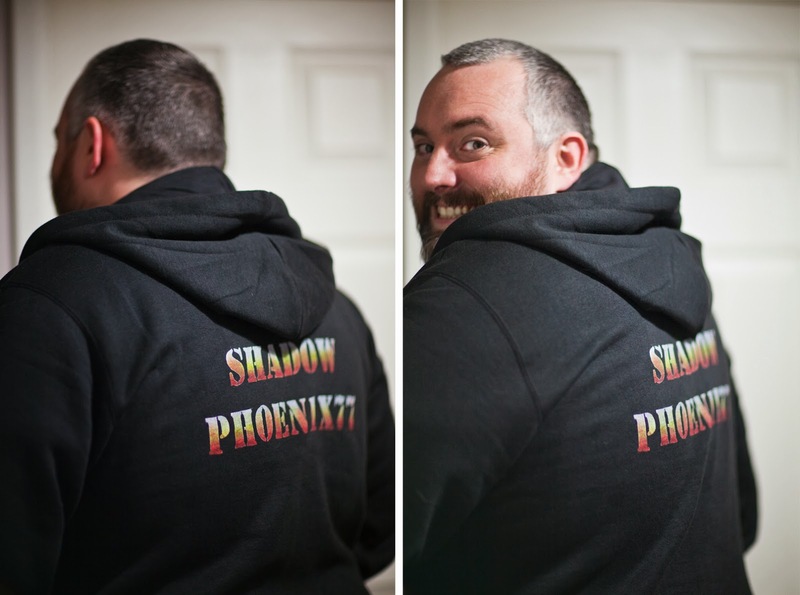 I laid the design on top of the hoodie to make sure it fitted in the space I wanted it to go and that the hood wouldn't cover it. Then I took a sheet of Freezer paper and placed it wax side down over the print out to trace the design through. Once I had traced the design I cut it out with a craft knife, you could use small scissors if it starts to get fragile. When you have cut the whole design out you have your stencil. The joy of freezer paper is that it is waxed on one side so you can use an iron to temporarily stick it in place. Be careful to make sure all the small bits of your design are ironed down. Leave it to cool for a moment before you start to apply your paint. As it is waterproof I used another piece of freezer paper underneath where I was going to be painting, just in case any paint seeped through to the other side, and another piece for mixing my paint. It is very versatile stuff. Now you can take your sponge and gently press on your first layer of paint. As I wanted a flame look to my design I waited for the first layer of paint to dry, then applied a thin layer of white at the top, then a layer of yellow blended into that and let it dry again for about 20 mins. After that I went in and mixed up some orange on that piece of freezer paper and sponged that over the bottom of the yellow. Finally, I went over the very bottom with some pure red paint. It wasn't looking strong enough with the sponge so I dabbed some on with a paint brush for a more intense colour at the base. 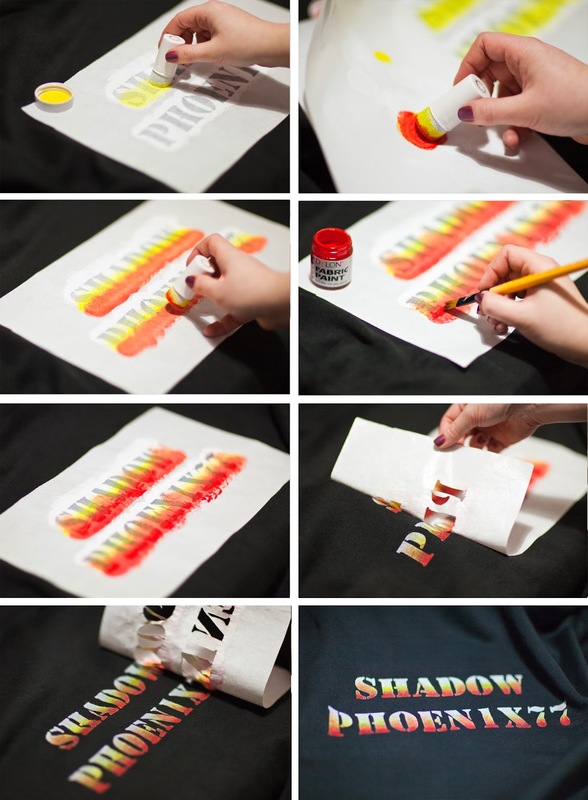 You need to let it dry for about two hours before running the iron over the whole design to set the paint so it won't wash out, and to loosen up the freezer paper before the fun part, pealing away the stencil! 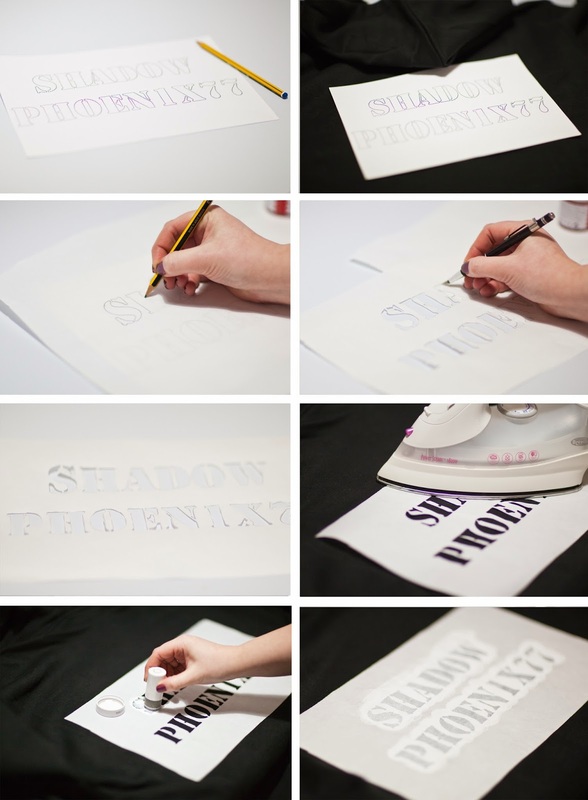 My favourite thing about using freezer paper as a stencil is the clean crisp lines you get on your designs and the flexibility of designs you can create, the possibilities are endless. I chose Steve's Gamer tag because that's his thing, but you could easily use this technique to add a personal touch to a football top, hen party t-shirts or a nickname hoodie for yourself. Check out some more Valentines ideas in my post from last year. Thanks Rhiannon, I am sooo tempted to make another one for myself now!